I’m shocked at how many people think that agave nectar is a safe sugar alternative. Nothing could be further from the truth. Using words like “organic” and “all natural” on their labels, the producers of agave want you to think that you can pretty much squeeze this crap right into your mouth. Agave nectar comes from the agave plant, the same plant that they make tequila out of. The glycemic index (amount of glucose) of agave sweeteners is low, and they are using this as a marketing tool to convince diabetics that it is a safe alternative to sugar. Problem is, although it has little glucose, it is almost 97% fructose, which is a sugar that is also very bad for your health…so much so that the American Diabetes Association has changed their mind about recommending agave as a sugar substitute. Agave sweeteners are highly processed sugars with big marketing money behind them. All the babble about “organic” and “natural” on the label really makes no difference if you process the hell out of the product afterwards. Why is fructose so bad for your health? In the old days, the only fructose we consumed was in our fruits and vegetables, and so the percentage in our diets was really low. But these days, with Americans guzzling unhealthy sodas and fruit and energy drinks full of high fructose corn syrup (and it being hidden inside many packaged and canned foods–just read the label), we consume far more than our bodies can handle. Here’s an interesting fact: the average weight of Americans has gone up steadily since the 1970’s, when high fructose corn syrup was first introduced, and has increased point-for-point as the amount of foods containing high fructose corn syrup have increased. Some of the carbs we eat are made up of chains of glucose. If too much of it gets to the bloodstream, our blood sugar spikes and our body secretes insulin to regulate it. Not so with fructose. Fructose gets processed in the liver. When there’s too much fructose for the liver to handle, it changes it into fats and dumps it into our bloodstream as triglycerides and cholesterol. This is really bad because triglycerides and cholesterol cause heart disease. And fructose does not trigger the normal hormones that regulate your appetite: you don’t feel full. So guess what? You eat more! What about basic sugar? Cane sugar is half fructose, half glucose…about the same as high fructose corn syrup (which is 55%/45%)…but both are less than agave at 97% fructose. I try to limit my family’s intake of cane sugar, honey, and maple syrup…and I totally avoid high fructose corn syrup and agave. I try to eat whole fruits and not gulp down juices, and I avoid juice concentrates and juice drinks or sports drinks. I wonder about the plus minus of “raw sugar” or brown compared to regular processed white ? Processed white is just that: a highly processed, bleached sugar. Raw sugar is an intermediate product, meaning the sugar is extracted from the cane, but they leave the molasses in it, which makes it brown. 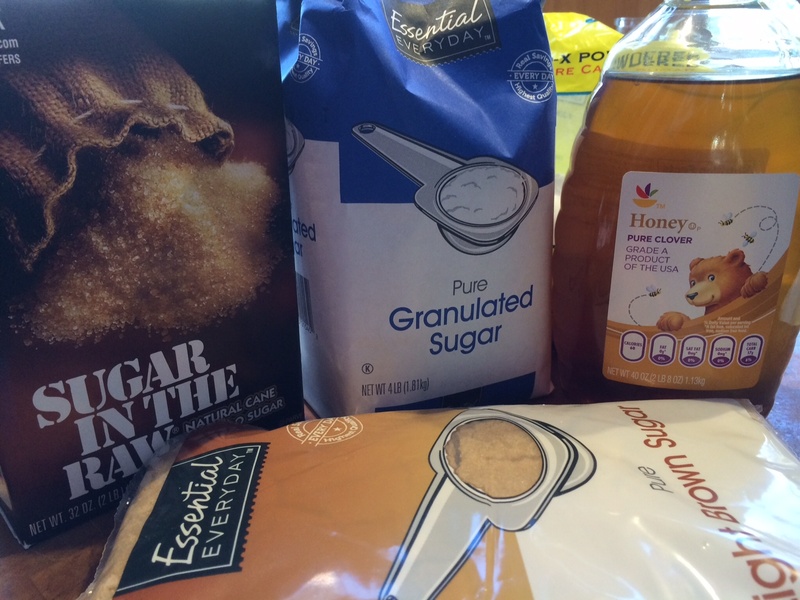 Regular brown sugar is much like cane sugar, with some molasses left behind. They all vary a bit in flavor, but as far as your health is concerned, no one is “better for you” than another. You’ll still get diabetes from any of them if you load up on them! THERE’S PORCHETTA…AND THEN THERE’S PORCHETTA!